Sichuan:Kangding Xian. 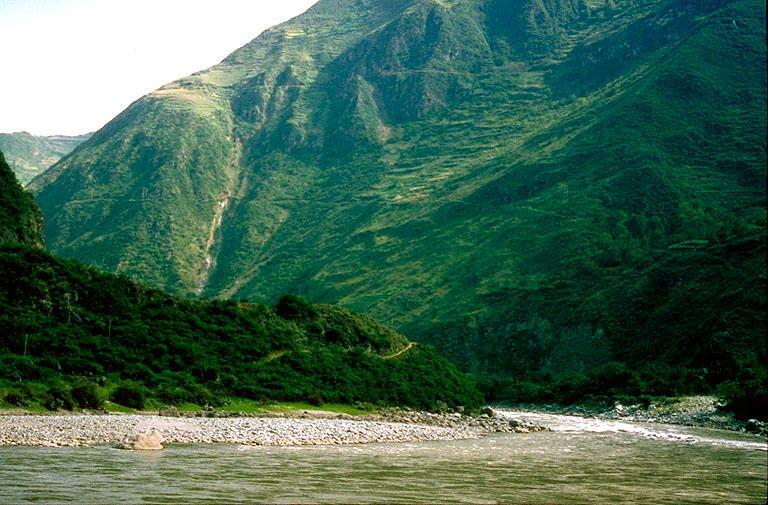 Between the cities of Luding and Kangding along the Dadu River. Cliffs and Talus slopes on west side of river; xeric vegetation with Opuntia abundant on cliffs. 30°3'26"N, 102°9'36"E; 1090 m.